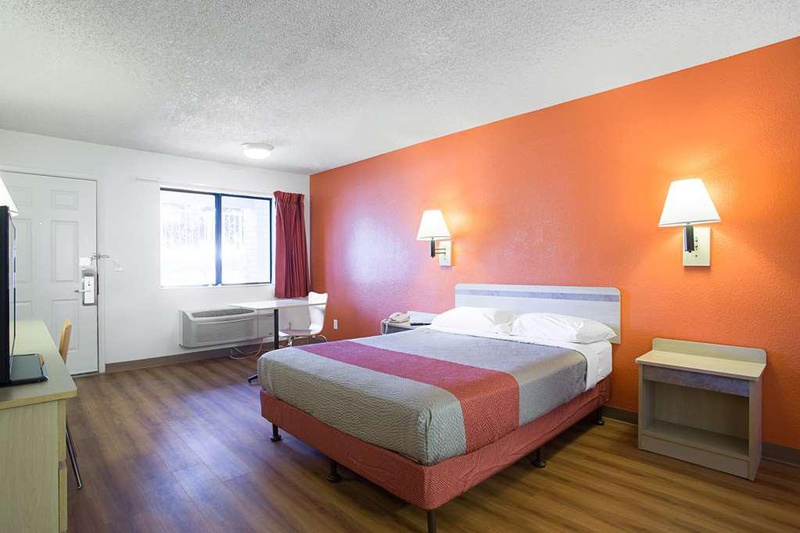 Located in Kingman, Motel 6 Kingman - Route 66 West is a 1-minute drive from Mohave Museum of History and Arts and 8 minutes from Cerbat Cliffs Golf Course. Featured amenities include a 24-hour front desk, laundry facilities, and coffee/tea in a common area. Free self parking is available onsite. Close to town. Great dollar store. Plenty of parking. Good budget hotel. Easily accessible by car and offers nearby parking areas. Fantastic service. Great pool. Awesome vibe. Nice diner. Excellent food. Great Food and service. Excellent staff. Excellent check in. Friendly desk staff. Excellent for the price. Reasonable priced vending machines. Room at a decent price. Deluxe queen room. New flat screen TV. New decor. Thin toilet paper. Light bulb burned out. Stained toilets. Lousy continental breakfast. There is no breakfast. There's no breakfast. They charge for WiFi. Paying for WiFi. Good wifi.